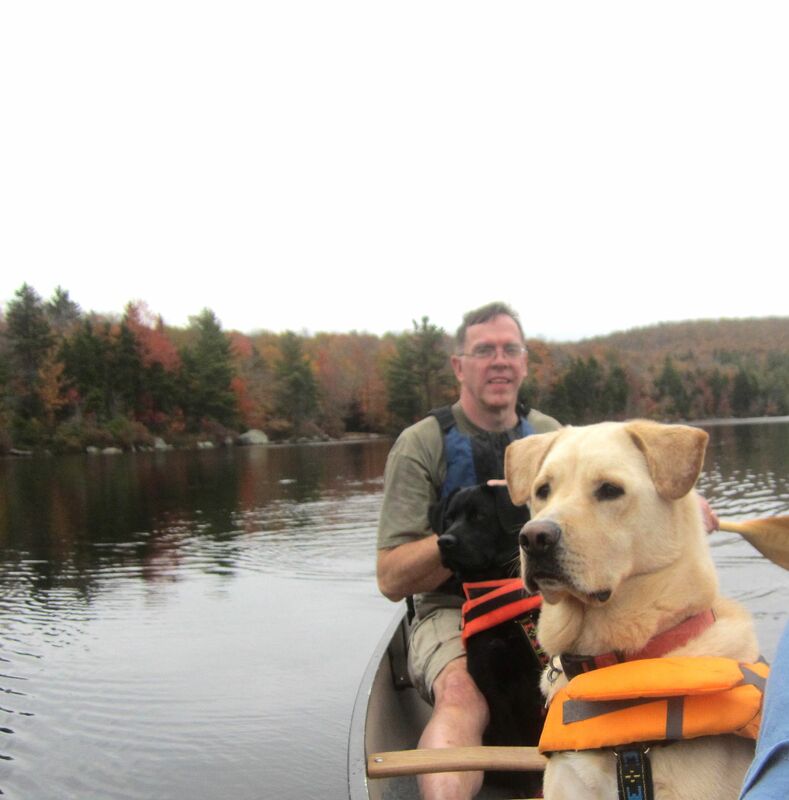 A Super-Soaker Sunday Summation….. | Vermont Paddle Pups! We have been fortunate this past year, in that we have faced very little in terms of adverse weather, or paddling conditions. 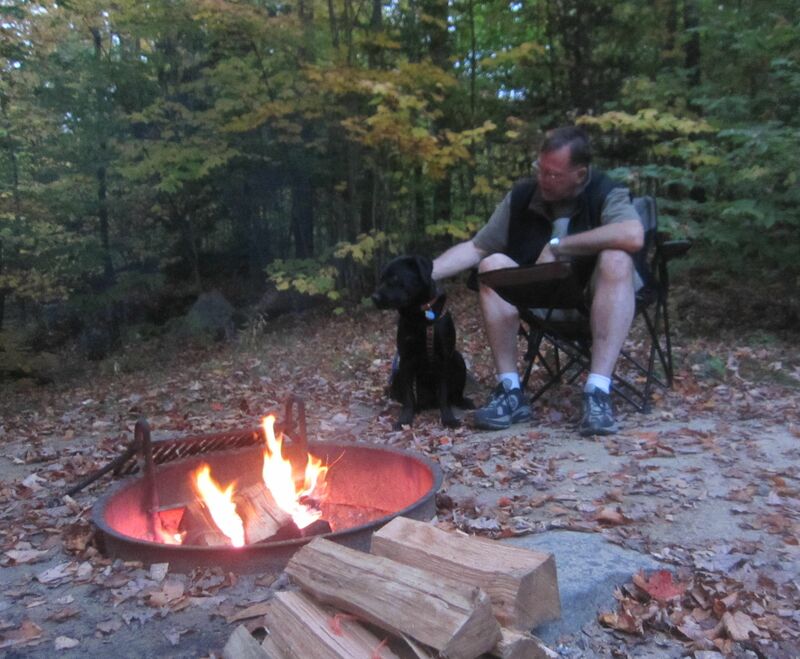 This weekend was our final canoe/camping trip of the year. Though we only made it as far as 24 paddling excursions, we have the possibility of one more paddle, if the air and water temperatures don’t start to plummet. 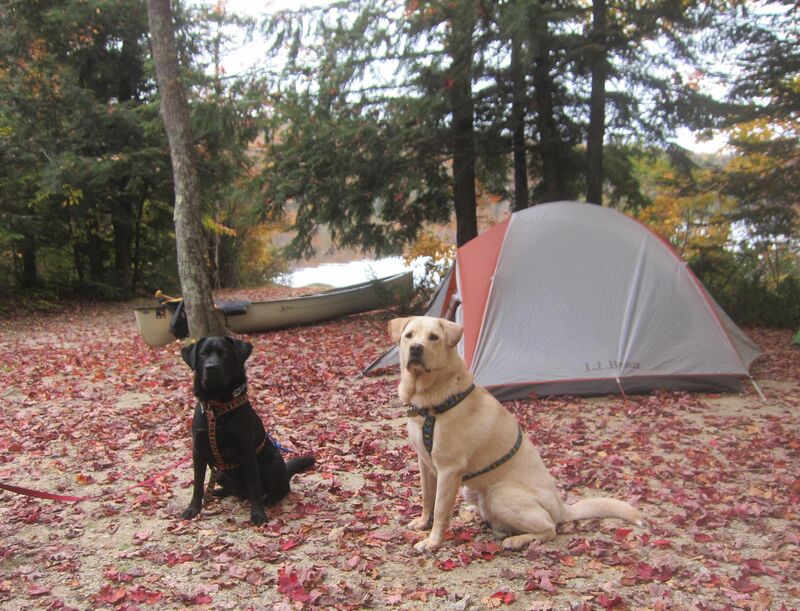 We took the paddle pups to a new ( for us) campground…small, on a small lake, in New Hampshire. Very different in terms of geology and flora from our home areas, and a nice change. The colors were a bit past peak, but nicely noted, against the grey sky. We managed to get in an easy afternoon paddle, and even a bit of solo practice. 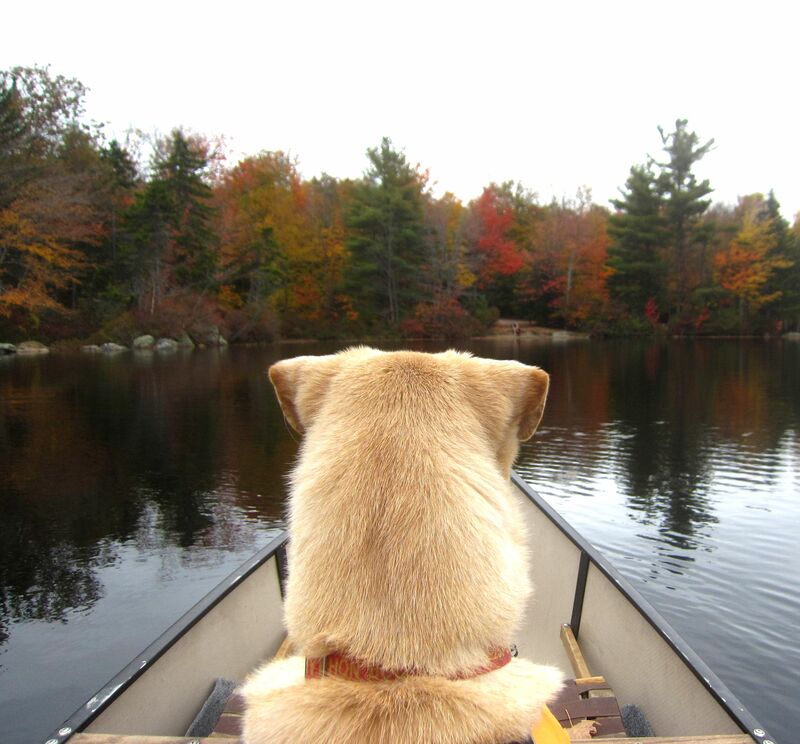 The dogs were relaxed ( more likely tired, as they had been to a sled dog fair that morning), and we realized we have almost taken for granted how good their boat behavior has become. We did have a near catastrophe when a shore dog suddenly bolted out, barking up a storm…we had our two dog suddenly bolt upright, looking for the source of the commotion…but all is well, and control was maintained. A shore hike took the place of an evening paddle. Unfortunately, our plans for sunrise paddling were washed away ( along with most of the leaves on the trees) by a windy rain, which arrived 8 hours before the forecast had indicated. We managed to get the car loaded in the pouring rain, didn’t leave any gear behind, and selected a preferred site for our return next season! ← Not quite willing to end the season yet….